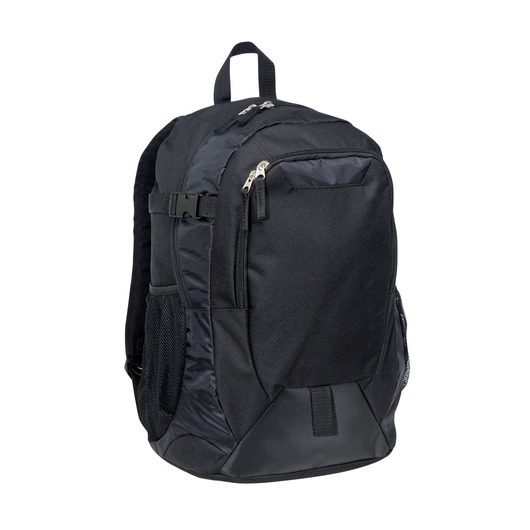 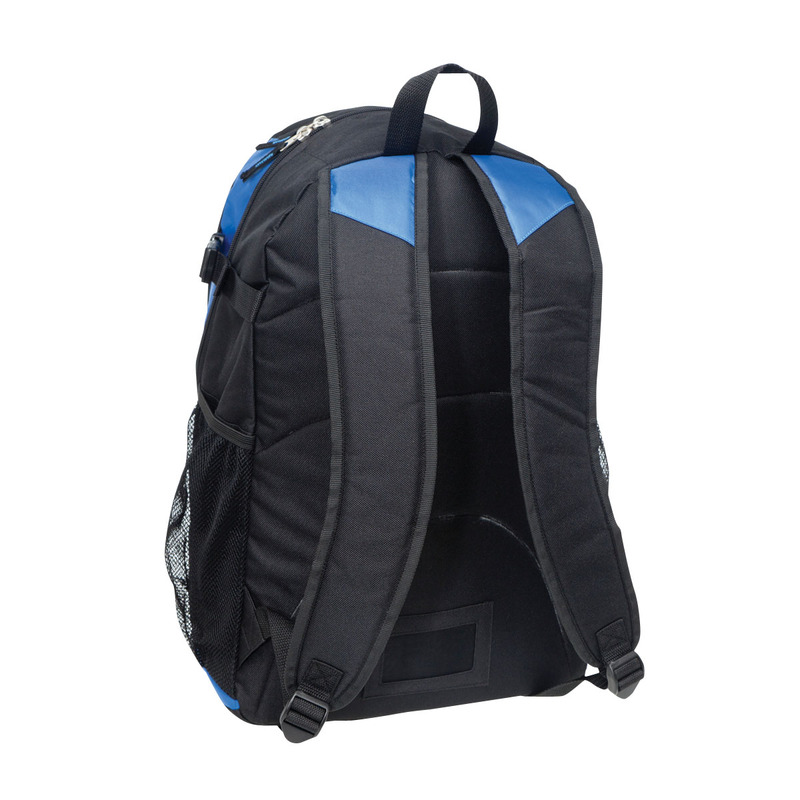 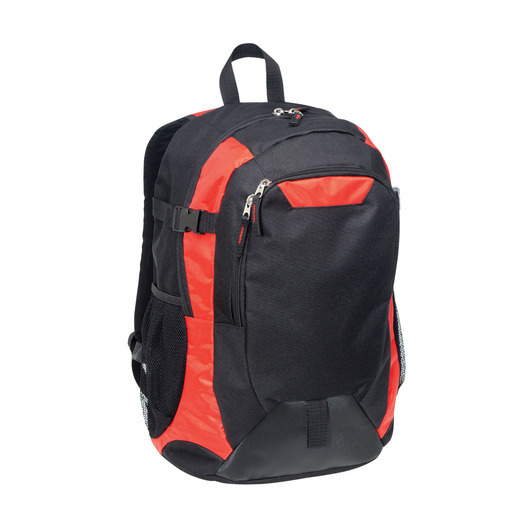 If you are a bicyclist, skater, student or commuter, this laptop backpack is just what you need to increase your comfort and your laptop's safety over conventional laptop bags. 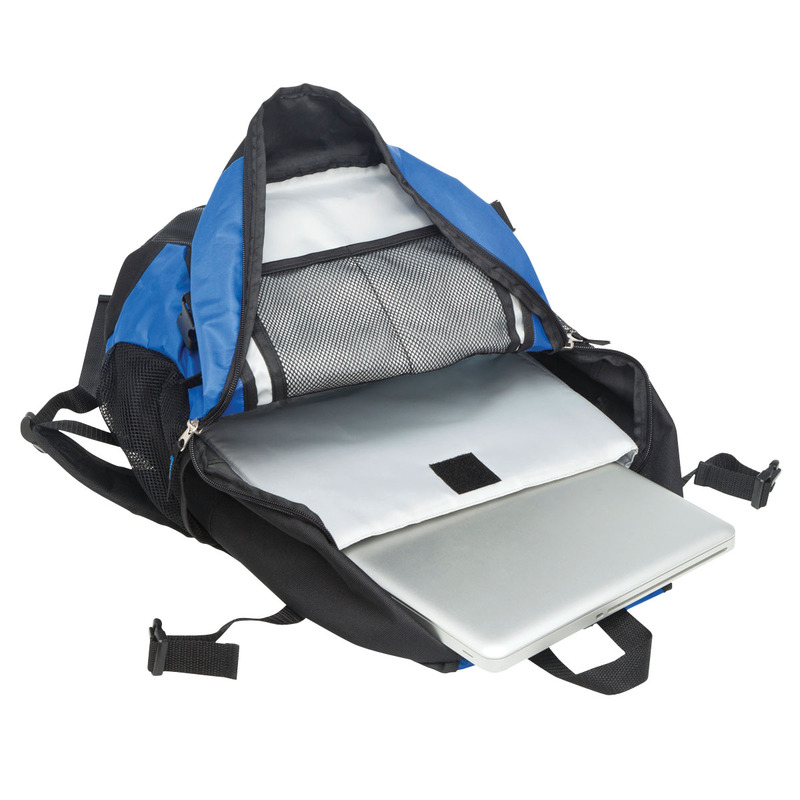 Stylish, yet built with solid construction and is a great solution for on-the-go professionals and students alike. Manufactured from durable 600D/420D polyester materials and can hold 30 litres capacity. 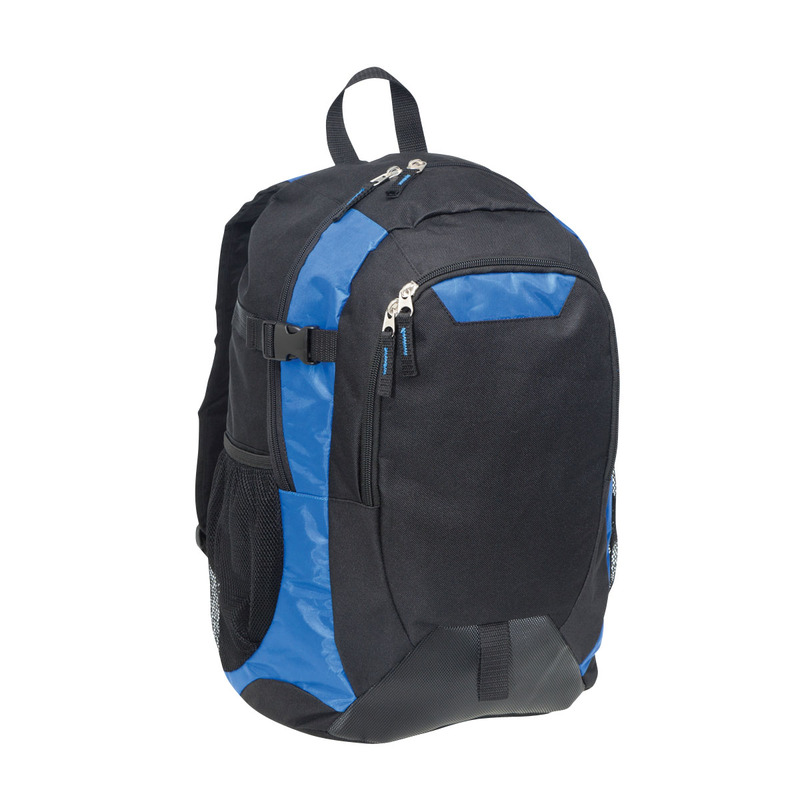 Other features are: webbing compression straps, padded laptop compartment with Velcro fastener, holds up to a 15â laptop, padded back for extra comfort, padded adjustable shoulder straps, double zippered main compartment, easy carry handle at top, business card holder on back, and textured PVC contrast panelling, itâs ideal for conferences, commuters and students.